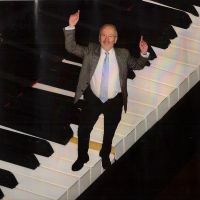 Additional Info: Having played as soloist and accompanist - concerts and broadcasts - in over 90 countires worldwide, Richard Deering is established as a leading authority on the performance of works by British composers as well as standard repertoire, with many works written especially for him. Additionally, he has worked as a chamber musician and is a founder member of the unique performing group of 8 hands at 2 pianos named Piano40, recently renamed as Grimoire. As a teacher Richard has held permanent positions at London College of Music and Middlesex University as well as visiting positions at Trinity college of Music, London, Trinity College, Dublin and Christs' College Cambridge University. He is also a regular jury member of competitions, both national and international, and served as Chair of several competition juries.